B vitamins carry out key functions in the body – and the fact that many staple foods such as bread and cereals are fortified with these vitamins is testament to the vital role they play. As they are water-soluble, the body can’t store B vitamins so it is important that you take in enough every day. 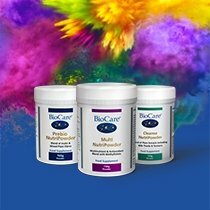 At BioCare, we offer a range of vitamin B supplements, from full B complexes to specific single vitamins, and in both liquid and capsule form. Browse our full range below, or read on for more information. B vitamins are important for your sense of wellbeing. Many support your psychological function and help to reduce feelings of tiredness or fatigue. Vitamin B5 – also known as Pantothenic Acid – supports your mental performance, and vitamins B6, B9 and B12 support your immune system. B vitamins are also essential for different metabolic processes. As well as supporting your body’s metabolism of food (with vitamin B6 supporting glycogen and protein metabolism specifically) vitamin B2 supports the metabolism of iron and vitamins B6, B9 and B12 help metabolise homocysteine. Vitamin B9 – more commonly known as Folate or Folic Acid – supports the growth of maternal tissue during pregnancy, so it is important for pregnant women to take in an adequate amount every day. Vitamin B6 helps regulate hormone levels and vitamins B2, B3 and B7 contribute to healthy skin. Vitamin B1 – or Thiamine – supports the functioning of the heart, with vitamins B2, B6 and B12 supporting red blood cells and vitamin B9 helping blood formation. Many of the B vitamins are linked to a healthy nervous system and, as an antioxidant, vitamin B2 (also called Riboflavin) helps protect cells from oxidative stress. 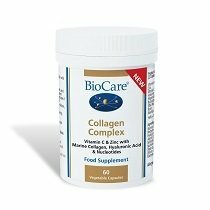 At BioCare, we offer a number of single B vitamin supplements for customers who are looking for specific support. In capsule form, we offer single supplements of vitamins B1, B2, B3, B5, B6 and B12. Within our Vitasorb® range, we offer liquid supplements of vitamins B6 and B12. 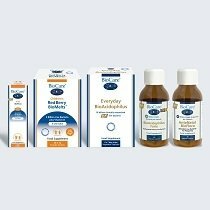 And our advanced, exceptional quality Nutrisorb® Liquid range includes a liquid Methyl B12 supplement which contains methylcobalamin and adenosylcobalamin, the optimally bioavailable, metabolically active forms of vitamin B12. We also offer a number of combined vitamin B supplements. Vitasorb® B includes all the B vitamins in an easily absorbed liquid form. B Complex provides all the B vitamins with magnesium and l-glycine to help absorption, and B Complex 25 is a lower potency version that can be taken by children over 5 years old. Methyl B Complex provides nutrients in their most metabolically active and bioavailable form, and Nutrisorb® Liquid Methyl B Complex is an advanced liquid version for optimum absorption. B-Plex is a specialised formulation that excludes vitamins B9 and B12, as certain metabolic types prefer not to take these nutrients. P-5-P is a specialised supplement that provides vitamins B6 and B2 with zinc and magnesium.